Live from Telluride After Dark: And the 2017 Best Actor Oscar Goes To . 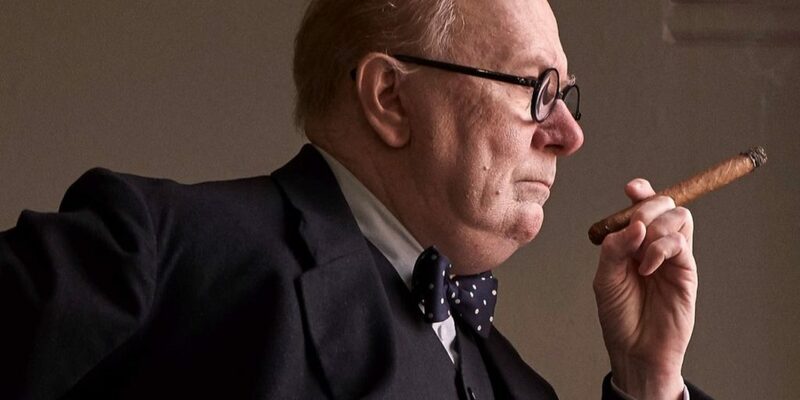 . .
…..Gary Oldman as former British Prime Minister Winston Churchill in Darkest Hour. Trust me on this one. What an extraordinary performance — certainly the role of a lifetime for the veteran character actor. (It also makes for a fascinating companion piece to Dunkirk.) And sorry about the horror movie lighting. Downtown Telluride at night is more reserved than my parents’ neighborhood in suburban Michigan. Here’s my early reaction! Nice to see your eyes this time! ha, thank you! Unlike Corey Hart, I don’t wear my sunglasses as night. Can’t wait for you to see this movie!